“Stress Fracture,” words no runner wants to hear from a doctor, especially if you’re training for a Marathon or Half Marathon. These words usually mean four to six weeks without normal running, which is enough to completely derail a training regimen. Stress fractures are different than the normal traumatic bone breaks, because they are slowly developing injuries to the bone, rather than a normal fracture that is typically the result of one traumatic event. Bones are made up of thousands toothpick-like structures called spicules. They are many small support pieces put together to form a single structure. When you run, a few of these “toothpicks” are broken, but they are naturally replaced by new ones—which thicken the bone and make it stronger. A stress fracture can occur when you are overtraining, have an error in running form and/or are nutritionally depleted and lack sufficient repair materials for the spicules to grow. Stress fractures develop gradually. Typically they start out as a small tender spot in the shin with worsening pain during exercise. Symptoms get worse slowly, about 4-6 weeks after increasing mileage. The most common site for a stress fracture to occur is the lower leg in the tibia (shin bone), followed by the metatarsals (foot bone). Tibial stress fractures typically start as “shin splints,” a catch-all term that refers to pain along the inside of the tibia. Shin splint pain usually starts out over a large area along the shinbone, and is mainly noticed after a hard training session or race, but will not hurt the next day. Left untreated, the bone will continue to develop stress and continue to fail until more of the bone spicules break and a fracture occurs. The pain will progress to the point where it is noticed more during the run and the day after, and become focused over a smaller area of the bone. Am I at risk for a stress fracture? The natural regrowth of spicules and thickening of the bone will not happen if you are overtraining and/or nutritionally depleted—and this is when a stress fracture can occur. So people who run more than 14 miles per week are at risk for stress fractures. The pain of a stress fracture could cause you to run with an abnormal gait—which puts you at risk for additional injuries. Metatarsal stress fractures are more common in those that run with minimalist shoes or have a mid-foot strike, though they can happen to any runner. Calcium and vitamin D deficiencies are common problems in males and females, which can increase the risk of stress fractures. One problem that happens in women much more than men is osteopenia (a loss of bone density), which can make you more susceptible to a stress fracture. Women and girls may be more prone than men and boys to stress fractures as a result of a relative energy deficiency or in worse cases “Female Athlete Triad”, a combination of osteoporosis, amenorrhea (absent or infrequent menstrual periods) and eating disorders (anorexia or bulimia) that occur in combination. If the foot or shin pain is focused on one area and becomes constant or worse during a run, then you should see a sports medicine physician. Shin splints occur when the muscles pulls on the attachment site along the inside of the tibia. At this point, it’s possible to prevent a stress fracture by responding to the developing problem. Many factors can be involved that a sports medicine physician can help correct. You can expect to be X-rayed. Though traditional X-rays usually come out looking normal—this is because the fracture is not completely through the bone. Further testing is often needed. Some physicians will use a tuning fork over the area to look for pain but one in four stress fractures will have no pain with a tuning fork test. Physicians will often use a bone scan to detect the problem. This involves an injection of a mild radioactive substance into the arm, which accumulates in the healing bone after three hours. MRI is a very useful test (since it can speed diagnosis and determine the time it will take you to get back to running) if your insurance will allow it—it is about three times more costly than bone scan but no radiation. Ultrasound is also being used more and more to identify stress fractures. I have identified a number of stress fractures using musculoskeletal ultrasound in the office with no radiation. Watch your running form. Poor running form puts uneven stress on the parts of your body involved in locomotion. Exhibiting signs of hip weakness and medial knee collapse, knees moving inside foot, when running is most frequently the cause of tibia stress fractures. But other causes of poor running form, including previous stress fractures and inflexibility or weakness of lower extremity muscles, can also result in stress fractures. Avoid overtraining, increasing mileage too quickly or training on excessively hard surfaces. Wearing worn-out running shoes can also cause increase forces during foot-strike, which can cause a stress fracture. Maintain good nutrition, especially when training for longer runs is important. Also, meet with a nutritionist (like the Drexel Center for Integrated Nutrition and Performance) about calorie intake to maintain current weight and minimize problems. How do I recover from a stress fracture? Stress fractures take time to heal. The severity of the stress fracture can predict the length of time out from full running. Earlier detection and modification of causes can significantly reduce the amount of time needed for exercise modification. Some stress fractures, such as injury to the navicular bone in the foot, take a long time to heal. The key to sports medicine treatment is finding the level of exercise that allows the bone to heal and the athlete to continue training. Stress fracture is one of the only injuries for which I tell runners not to “run run.” Attempting to rush things can cause re-injury. You can cross-train through a stress fracture with any activity that doesn’t cause pain during or after the activity, things like elliptical or cycling (non-jumping activities) are often prescribed. Two things, I find very helpful for runners, are deep-water running with a flotation belt (Aquajogger, for instance) or anti-gravity treadmills (one called an AlterG, Novacare has these) are all excellent tools to allow running while healing. Some stress fractures will need casting so they will not allow training while you heal, but most will allow you to train. Therefore, you will not miss your event, if you pay attention to the signs. Expect that you will need to correct muscle imbalances or training errors and possibly blood work and bone density testing will need to be done. Early detection and treatment reduces recovery time, so don’t ignore that shin or foot pain that remains after running. Most importantly, work with your sports medicine physician to determine the cause of the stress fracture and follow the proper treatment to prevent it from recurring. 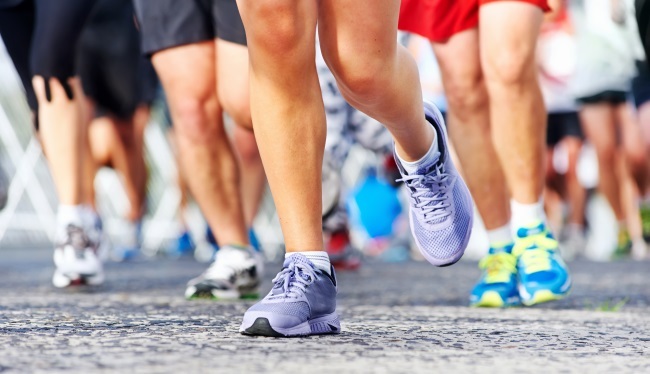 Achilles Podiatry is the Stress Fracture Specialist of Indiana and If you are experiencing pain or believe you have a stress fracture, contact Achilles Podiatry for further evaluation and treatment.